I cannot go anywhere. I cannot go back to Bangladesh because I only had a temporary legal stay in a refugee camp. I cannot go back to Myanmar because my nationality has been withdrawn. Rashid was born in Maungdaw, Myanmar in 1988. He fled to Bangladesh with his mother in 1992 after his father, who was a Muslim rights activist, was killed and his sister was arrested. He lived in Bangladesh for 20 years, first in a refugee camp and then in several villages. At that point Rashid decide to travel to the Netherlands to seek sanctuary. He applied for asylum twice and his request was rejected both times. Rashid’s situation is made worse by the fact that he fled Myanmar without ever having owned a valid identity document. As a member of the Rohingya ethnic group he was deprived of their Myanmar nationality by the Government. Currently, Rashid is not residing legally in the Netherlands. He lives in a homeless shelter but could be asked to move out any time in the future. For Rashid the future is uncertain, he is all by himself in a foreign country and is dealing with traumas from his childhood. He has nightmares, and high blood pressure – even though he is only 25 year old. Every day Rashid gets more depressed as he does not have any prospect of acquiring a legal residence permit anywhere in the world at this point. 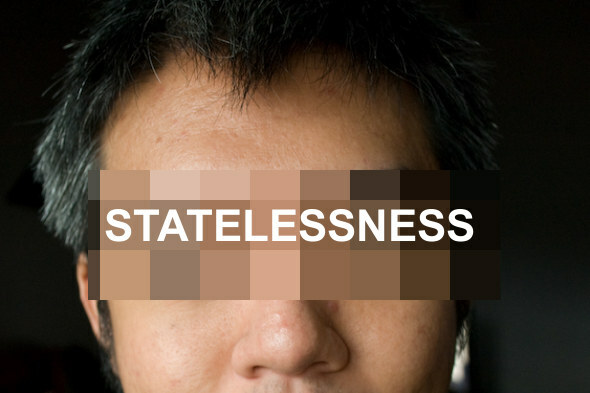 He is stuck in limbo because of the failure by the Dutch authorities to put in place a functioning statelessness determination procedure. I am asking for help in the Netherlands and as a result I am being kept in detention with criminals. I have not done anything wrong, I am not a criminal.